Here is the latest page posted a while back on Tumblr! I’m sure you’ve all noticed some changes on the site. I’ve had to re-install wordpress/comicpress and a few things got shifted around. All previous pages have been imported, and most links should work as previously did. I’ll be going through and updating other site pages/adding new things in the next few weeks. ALSO! 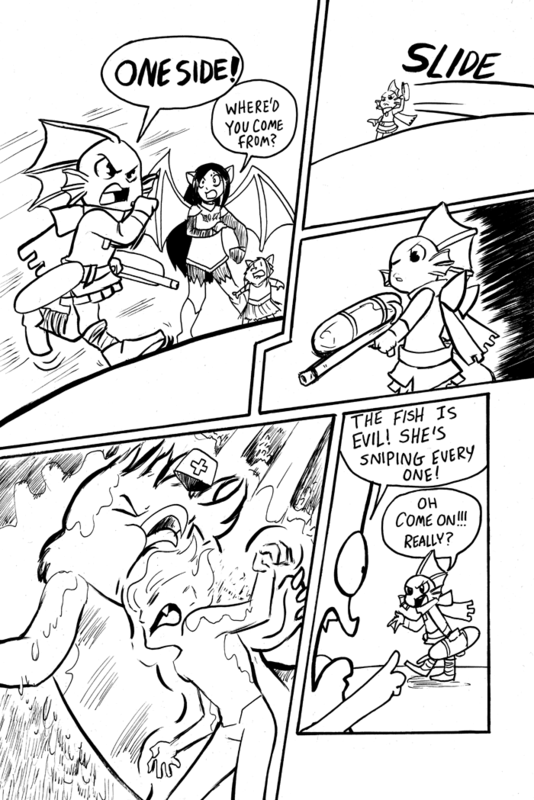 My friend Alex has started her new Webcomic Monster http://monstercomic.tumblr.com/ You should definitely go check that out. HAHAHAHAOMGBACONMONSTERISJUSTSOHILLARIOUSHAHAHAHAHAHAHAHAHA!!!!!!!!!!!!!!!!! There is a VERY GOOD REASON for why I love Bacon Monster SO MUCH. That line was just WONDERFUL!! Please continue to make Bacon Monster have the best lines ever. That was just WONDERFUL!!!! Somehow, I’m reminded of Splatoon.